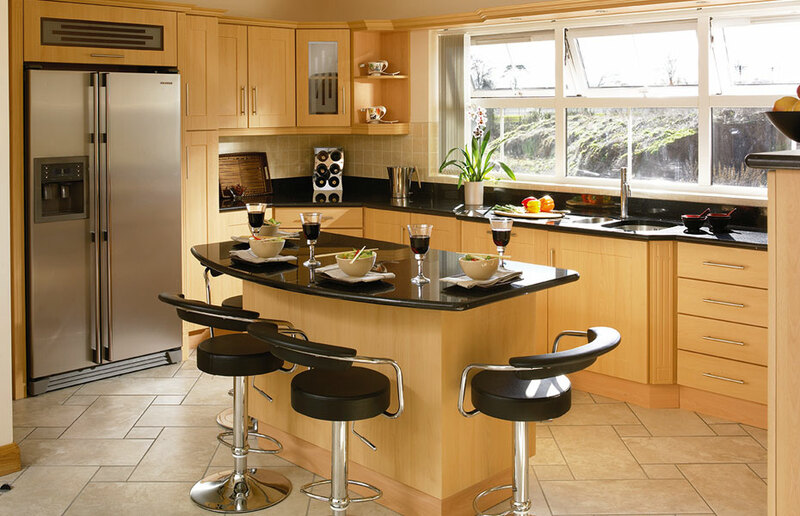 The timeless classic Shaker Cologne in a Beech finish looks fantastic in any kitchen. 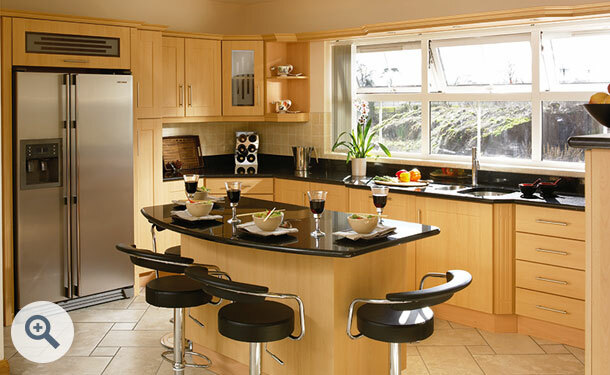 With contrasting appliances and worktops it oozes elegance. The unusual shaped island unit complete with granite worktop creates a strong focal point in this elegant Beech kitchen. With comfortable barstools, it is the perfect place to relax, and enjoy a nice meal at the end of a busy day. Shaker Cologne drawer fronts in Beech start at just £6.41 and kitchen doors at £16.82. Click the button to request a free large sample swatch of Beech. Click the button to purchase a Sample Shaker Cologne design door in the Beech finish.